Survey results of students, alumni praise professors and career exploration programs. Miami is among just 200 universities and colleges recognized as one of the nation’s "Best Value Colleges," according to The Princeton Review. 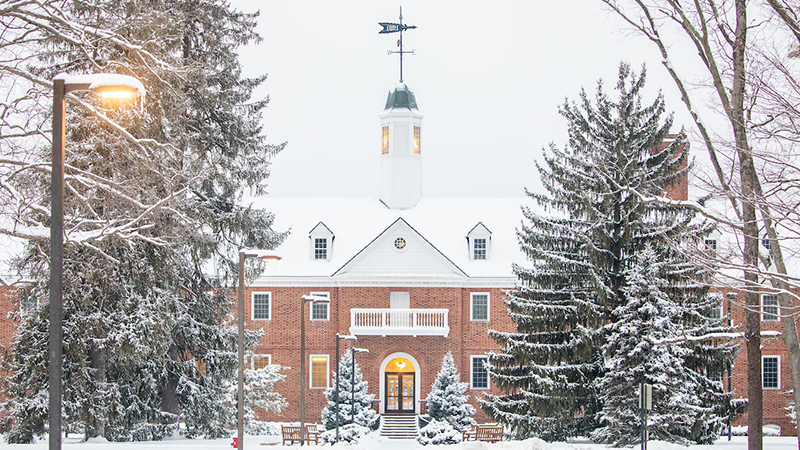 A profile of Miami appears in the just-published 2019 edition of the company’s annual guide, The Best Value Colleges: 200 Schools with Exceptional ROI for Your Tuition Investment (Penguin Random House/ Princeton Review Books, Jan. 29, 2019). The Princeton Review chose the schools based on data it collected in 2017-2018 from its surveys of administrators at more than 650 colleges. The company also factored in data from its surveys of students attending the schools as well as surveys of school alumni that PayScale.com conducted through April 2018. More than 40 data points were tallied to get return on investment (ROI) ratings that determined the selection of the 200 schools featured in the book. The Princeton Review does not rank the schools. Topics covered academics, cost, financial aid, graduation rates, student debt, alumni salaries and job satisfaction. In addition, the book editors noted that millions of dollars of scholarships are awarded each year to students based on academics, special achievements and financial need. Career exploration is a strong emphasis. The students surveyed applauded Miami’s commitment in providing tools to help them to find jobs. The tools include: career fairs, relationships with recruiters, supporting alumni, mock interview/resume workshops/career services and teaching material. Forbes ranks Miami among the nation’s top 50 public universities. Kiplinger.com ranks Miami among the nation’s top 50 public universities. SmartAsset.com ranks Miami 2nd in Ohio.